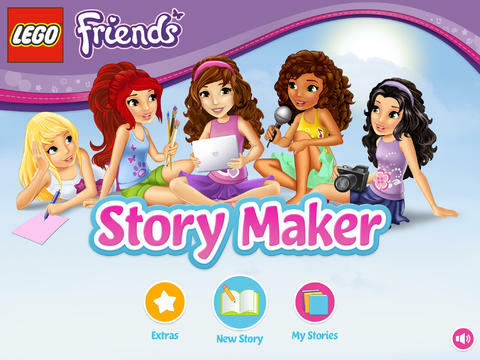 Designed for creative minds of all ages, LEGO Friends Story Maker offers hours of LEGO fun. Become the author of beautiful multimedia stories using simple tools like drag & drop, stamps, voice recording, backgrounds, frames, and page captions. You can even take pictures of your own amazing creations to capture stories as you build! * Mix and match 100+ Sets, Friends, pets and accessories for limitless storytelling fun! * Choose from 10+ Heartlake City page backgrounds, or take a photo of your own scene. * Drag and drop Mia, Emma, Andrea, Stephanie, Olivia, and others. * Choose from five different stamps – music, butterfly, pawprint, heart, and star. * Decorate each page with one of 10 colorful frames. * Manage page order, edit & delete pages, and add new pages using the nifty Book Manager. * Record voice for each page for a rich storytelling experience. * Type text and choose from seven colors. * Publish your story to iBooks so friends and family can experience them. The app will only work with iPad 2, iPad 3, iPad 4 and iPad mini. Luckily, my iPad 2 will run it so I’ll have to download it this weekend and give it a whirl with my daughter. Have you tried it out? Let us know what you think in the comments! 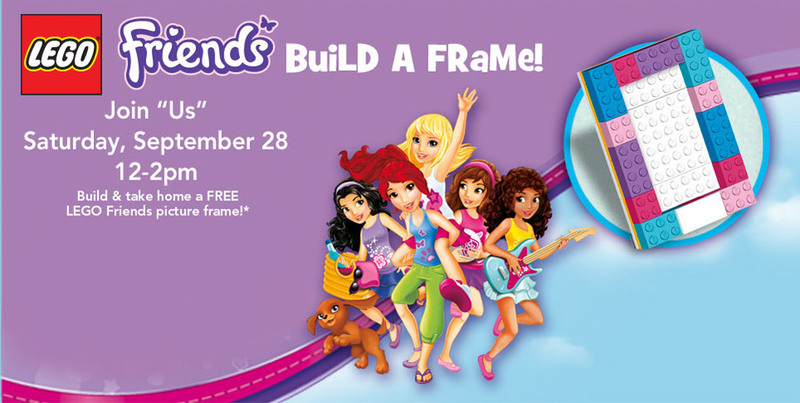 If you’re looking for something to do this Saturday September 28th, head on over to your local Toys’R’Us store and check out their LEGO Friends building event. You can build the picture frame you see up there and take it home with you. The event runs from 12noon to 2pm. Call your local store and make sure they are participating before you head down, though, just to make sure you’re not wasting time and gas. Wow, I can’t believe it’s been a month since our last update. We’ll try and be better about making more posts. Are you looking for something to do with your kids tomorrow Saturday March 23rd from 12 noon to 2pm? 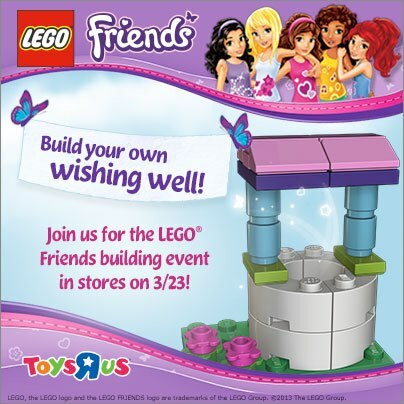 Head on over to your local Toys’R’Us store and join in the LEGO Friends building event. The event is free and you can build the wishing well you see above while supplies last. 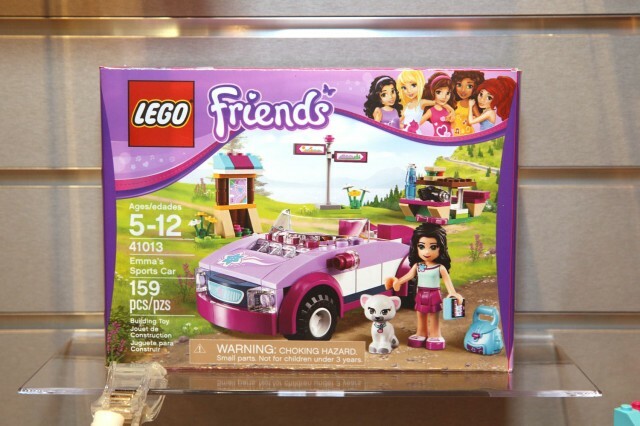 I came across this article about the LEGO Friends series awhile back and thought it would be nice to share with our kind readers who have all been so supportive of our growing little blog. 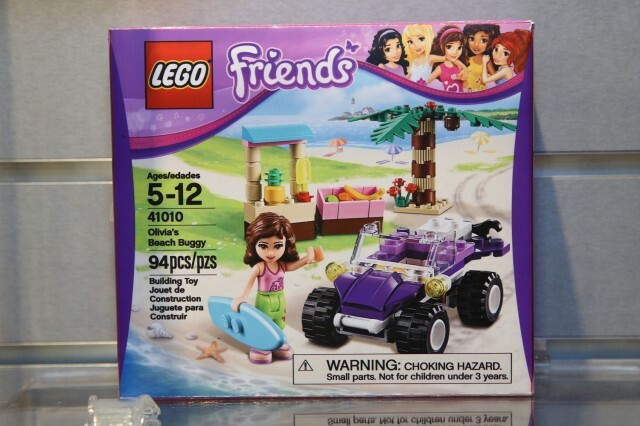 According to the article, LEGO Friends far exceeded sales expectations in 2012 by selling twice as much and has even continued to gain greater momentum despite all the initial controversy surrounding issues of gender specificity. The article provides a great recap about the controversial issues including responses from LEGO headquarters and the protesting group SPARK (Sexualization Protest: Action Resistance Knowledge). The ongoing dialog between the two sides has seen positive results thus far, as evident in the growing variety of Friends characters and their accompanying sets. I got an email earlier today letting me know that the photos for 41005 Heartlake High weren’t linking correctly to the higher res pictures, but I’ve fixed that. I also noticed that 41006 Downtown Bakery pictures weren’t linking to anything at all. I fixed those too so feel free to browse through those posts. Thanks go to Heartlake Friends superfan Don Solo for emailing me. This is my last post for the Friends Toy Fair coverage and for my last post, I’ll be covering the Advent Calendar for 2013. At first glance this year’s calendar feels a bit more robust than last year. There aren’t any single element days like last year’s day 19 handbag or day 12’s puppy that I can see, so it’s already a step up from before. I’ve put the pictures past the click in case you want to remain spoiler-free. But if you’re curious, there are 14 pictures detailing what you can look forward to. Thanks for reading our Toy Fair coverage! I hope you enjoy what you see. We’ll be getting back on track with our reviews as soon as I get back home and recover. For now, you can browse all the new sets and budget for August. This. Boat. Is. AWESOME! You get not just one, but TWO dolphins, each with their own unique color, a new mini-doll character Maya, and the other boy mini-doll to debut this year, Andrew. You also get ever-present Mia and a jet ski. The Cruiser is impressive with how much room and play features it packs in. There’s a slide in the back allowing your mini-dolls slide down to the water. There’s the captain’s chair to steer the boat, some lounge chairs on the fore deck, and the entire top lifts off to expose several rooms and cabins in the interior of the boat. It would have been great to include some scuba gear and maybe have one of the mini-dolls dressed in a wetsuit, but hey, I’m really not complaining. Maybe there’ll be some underwater/swimming/watersport themed sets in the future. But for now, this boat looks to be plenty fun. I’ve uploaded 36 additional images to the post, so click through to see the rest. 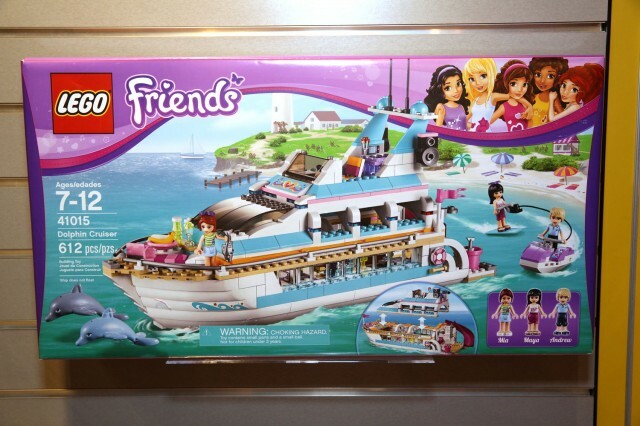 This is the last of the inexpensive Friends sets that debuted today at Toy Fair. Including the sets announced today, there are a total of 18 sets that are $20 or less, making Friends one of LEGO’s most affordable themes. A lot of people complain about how expensive LEGO can be, but you can build quite a play environment without breaking the bank. Another inexpensive set, 41010 Olivia’s Beach Buggy comes with Olivia, her surfboard, a buggy, a palm tree and a fruit stand with a selection of tropical fruits.